IT IS A FAREWELL SCENE THAT IS FOREVER ETCHED IN MY MEMORY. My beautiful mother standing out in the crowd in her yellow fake fur coat, crying and waving to my brother and me as we boarded the plane in the Taiwan airport. Some years back, my father had obtained his doctorate of science from the Massachusetts Institute of Technology. Not long ago, he had received permission for us, his two children, to immigrate to the United States. We were leaving Taiwan now because he wanted us to have a good education and a chance to succeed in the land of opportunity. I remember wishing desperately that my mother could come with us, but this was impossible, since my parents were divorced. A sudden terrible, piercing sense of loss and fear came over me and I, too, began to cry. I didn't know when I would see my mother again. At the other end of our trip would be the unknown: a father I had never met because he had left for the States before I was born. I was now six years old, and my brother nine. So far, I had only seen pictures of our father. When I first arrived in the United States, life was very difficult. Our home environment wasn't very conducive to our adapting to our new country, since our stepmother didn't like us and treated us miserably. She even refused to cook for my brother and me. I was very homesick and missed my real mother a lot. In addition, because I couldn't speak a word of English, a lot of kids at school thought I was stupid or retarded. Our father wanted us to do well at school, so he was very strict with us when it came to our studies. We did extra homework all the time. I'll never forget him saying, "Education is the most important thing in the world—nobody can ever take that away from you." Two years after our arrival, my father and stepmother separated, and my father took us to Michigan, where he had accepted a job as professor of mechanical engineering. My father was extremely dedicated to his work; he was a true scholar, but unfortunately he didn't know how to manage his personal life or take care of his health. He had terrible stomachaches from his ulcers, which would often make him cry out in pain. It would scare me, because then he would say that he wanted to die. His favorite activity became taking us for long walks in the local cemetery and looking at the tombstones, noting the dates and reading the inscriptions. Each time he would tell us where he wanted to be buried. Only six months or so after he started his new job, my father came down with jaundice. His colleagues had to force him to go to the doctor, because he wouldn't go himself—this problem wasn't important enough to stop his work. The problem turned out to be hepatitis. During his hospitalization of a few months, my brother and I were taken care of by several of his colleagues in turn. My father's condition worsened, and it was clear that he was going to die. Although without him we would be alone in the States, he told my brother that we weren't to go back to Taiwan, since we wouldn't have the same opportunities there. Thus, after he died, we were not reunited with our mother but were put up for adoption. I was nine years old when I went to live with a Caucasian family of one of my father's colleagues, and eleven when I was legally adopted by them. My brother, who was three years older than I, became a foster child of a Chinese colleague. We would see each other once in a while, but our relationship became very strained after we were separated. Throughout the eight years that I lived in my adoptive family's home, I was forbidden to contact my real mother in Taiwan. My adoptive parents reasoned that I romanticized too much about my past, and that by cutting off this connection, I would be happier in their home. They even took away and hid all my pictures of my real family. It was as if they were trying to strip me of my past and identity: I was infuriated by this, but I was helpless to stop them. It was to be many years later, after I had left my adoptive family, that one of my adoptive sisters found my old photographs in the attic and returned them to me. I think that if I had been happy with my adoptive parents, I wouldn't have missed my real family so much or pined so much to go back one day. Since going to live with them, I had rarely been allowed to make my own decisions. I even had to ask permission to take a shower. Whenever I did anything wrong, I was severely punished, physically and verbally. I never felt that my adoptive parents ever loved or cared about me—I was just a charity case to them. Any letters I received were first read by my adoptive mother before being handed to me. All the letters I wrote to family or friends were systematically censored, and if there were things I wasn't supposed to write about, I had to rewrite the letter. She bought me a diary and encouraged me to write down my private thoughts, saying that no one would read the diary except me. I believed her and spilled out my guts into it, only to discover three years later that she and my adoptive father were reading it. They confronted me with my diary and read the parts about them out loud in front of me. How could they have deliberately lied and betrayed my trust? They punished me and then forced me to burn my diary to try to wipe out my thoughts and feelings, but I couldn't be brainwashed. Any time I brought up the subject of my real family, my adoptive mother would say very disparaging things about them and about how we had lived in poverty in Taiwan. Then I would get a long lecture on how fortunate I was and how grateful I should be to have been adopted by them—that otherwise I could have ended up in an orphanage. Or she would tell me that if I had been sent back to Taiwan, I would have been sold as a slave or a prostitute or have ended up begging on the streets. I was often told that if they hadn't adopted me they would have been able to buy new carpeting for the house, to acquire a boat, and so on. They said that I had been adopted because God wanted them to take me in. They were strict Protestants, and my adoptive mother's father was a minister. If I didn't say I was grateful when my adoptive mother told me to do so, I was slapped in the face and pushed down on my hands and knees in a humble position with my head bowed as if in prayer. Often the lecturing session happened in the morning before school; then I wasn't allowed to go to school until I said it. I felt so humiliated, and in the beginning I resisted. I felt that it would be a lie and a betrayal of self to say it, because I didn't feel grateful to them. But when I started to miss whole days of school or was late, I decided it wasn't worth my pride to resist—I just wanted to get away from her craziness. Not only did I feel unwelcome in my adoptive family, but the small university town that I grew up in was also very redneck. The population was mostly made up of the descendants of Finnish immigrants. There were only two Asian families there, and no black American families. I used to feel like I was being looked at like a funny animal in the zoo by most of the locals, because they so seldom saw Asians. The fact that I was being stared at like that didn't bother me as much as the degrading comments I used to get daily at school, until I graduated from high school. One of the comments I'll never forget was, "Your face looks like it got run over by a truck," followed by cruel laughter. I tried to block out the ugly racist comments I heard. I used to think that if I were back in Taiwan, people wouldn't make fun of me because I was Chinese. To add to my miseries, my adoptive mother made me wear outrageous and outdated clothes that nobody would be caught dead in. They made me stick out even more. Having to keep the suffering and anger inside caused me to keep mostly to myself and not try to make many friends. One of the happiest days of my life was when I was finally able to leave my adoptive parents in 1975, at the age of seventeen. It had been almost a year since I had run away from home and called Dial Help, a community-service organization that offered help to people in need. I ran away because of a particularly irrational and violent outburst of hysteria and physical and verbal abuse from my adoptive mother, which caused me to snap. I sought help because I knew I was a minor and couldn't legally escape anywhere. At the same time, if I were to go back to my adoptive parents, I needed protection from them, because I knew my adoptive mother would want revenge for the embarrassment I caused her by running away and seeking help. She was well-known by the people in charity organizations, and at first nobody at Dial Help wanted to take on my case. They were all scared of my mother. After months of counseling between my adoptive parents and me failed, I was given the option of emancipation from them by my counselor. I was seventeen years old, old enough to apply for independence. I decided this was the best option. I found a lawyer through a social-services agency, and he helped me liberate myself from them. I was half a year away from finishing high school. I felt like a person who had just been released from prison. Now I had a chance to live my life the way I wanted to. After so many years of enduring physical abuse and harangues about how awful my real family was and burning up inside with resentment, one of the things I wanted to do was to find out the truth for myself. Above all, I longed to see my real mother again. I wanted and needed to feel as if I belonged somewhere. I managed to finish high school with the aid of my real father's social security pension and the help of a friend. That summer before university, one of my adoptive sisters found me a job as a maid in a large house for students so I could have free rent, and then I found some waitressing jobs to support myself. Instead of majoring in music, as I had originally wished to do, I became very practical and decided to major in engineering so that I would have a better chance of achieving financial security. I knew that I would have to find a job immediately after graduation because I didn't have a home to go to, and hang out in, until I found one. By selecting engineering, I was able to get engineering co-op jobs that allowed me to work and help pay my way through university. I would work for either three or six months for an engineering firm, and then alternate and go back to university for the same length of time. During the months I attended university full-time, I also had part-time jobs as a waitress or worked at other odd jobs for the university. While working on my co-op assignments, I would enroll in night classes to fulfill elective course credits that could be transferred to my original university. On the weekends, I worked at other part-time jobs, such as plumbing. I also had to take out some student loans to supplement my income. After graduating in mechanical engineering, I looked for a company that was doing business in the Far East, and I ended up working for IBM. During my time there, I took every opportunity to take on tasks that would make it easier for me to go abroad and work in another branch office or that would allow me to reenter the job market more easily if I were to take a couple of years off. My goal was to save enough money to go to Taiwan to find my mother. However, one of the obstacles I had to overcome if I was to be reunited with her was my inability to speak Chinese. To find her wasn't enough, since I needed to be able to communicate with her, and I didn't want to use a translator for such an emotional meeting. I had tried learning Chinese through some evening classes at a university, but that never worked out because of my hectic traveling schedule at IBM. I finally decided to take the radical step of quitting my job to study Chinese in Beijing, where the most standard Mandarin was spoken. My friends at IBM thought I was crazy to leave what was then considered a secure job. At that time IBM was not granting leaves of absence except for exceptional cases, but when I left my managers told me that they would rehire me when I finished in China. Meanwhile, I lined up a part-time job as a consultant for IBM's China office so that I would have a source of income. With the professional part of my life organized, I also put my personal life in order. I put all my belongings in storage and then told my boyfriend of many years not to wait for me, because I didn't know what was going to happen. I was about to embark on the biggest adventure of my life, and I couldn't make any commitments. I had a feeling that what I was about to experience in the next few years would change the way I looked at the world. When my plane landed in Beijing in September 1986, I kept pinching myself. I could hardly believe I was in China. Somehow, despite my almost nonexistent Chinese, I managed to get to the Foreign Languages Institute where I would be studying. The taxi pulled up at the dormitory for foreigners. When I got out with all my suitcases, I found a crowd of Chinese staring at me with blank looks on their faces. I had never seen that kind of empty expression before, and it gave me a creepy feeling. I had read many books about China, but nothing had prepared me for this. I wondered if I had made a mistake in coming. It was raining, and I had an incredible amount of luggage, but not one of the people standing there looking at me offered to help when they saw me struggling with my bags—not even the people for helping the foreign students. "Welcome to the motherland," I thought. Gradually, I settled in and became acquainted with some local Chinese. Many of them asked me if I had relatives living in China. When I answered yes, that my father's family was still in China, they would always ask me if I had met them. When I said no, they were very surprised. In fact, I was interested in meeting my father's family, because I remembered my father talking about them, but I didn't know much about their whereabouts. My father had left mainland China just before the Communists took over the mainland in 1949 and had never seen his family again. I was too little to remember any details about how to locate them, and whenever I had asked my brother for information, he never wanted to discuss the subject. I think that it was too painful for him to talk about our parents. Finally, however, I did find out from him the name of our father's hometown. At first, I didn't have much hope of finding my relatives, because I thought it would be like finding a needle in a haystack. But these frequent questions about them motivated me to take the idea of finding my father's relatives seriously. I thought that if I succeeded, I would learn more about my father and what had shaped him as person. I often felt a sense of great loss and pity that I had only known my father for two and a half years of my life. After studying and working part-time for about a year, I met a Chinese professor who told me that he could help me find my father's family. I gave him the little information I had, and he wrote to the officials of the town they lived in, in Gansu province in northwest China. A few months later, he called me back and told me that my relatives had been located. Apparently had been easy to track down because they had been blacklisted during the Cultural Revolution of the late 1960s. I was surprised that finding them had been this simple. I immediately sent a letter to them. I told them I was studying Chinese and working part-time for IBM to financially support my studies. I received a letter from someone who said that he was my father's elder brother. He said that the family was all so happy to hear from me and to hear that I was doing so well and was so rich (they seemed to assume that I was rich just because I was working for IBM). Since in every letter they emphasized the word rich, I sensed that I was to be their goose that laid the golden eggs. I felt uneasy and worried about their expectations of me. I had heard other overseas Chinese stories about people claiming to be relatives but who were actually strangers just hoping to profit from the relationship. I therefore asked my relatives to provide some information about my father and to send me some pictures of him and of themselves, if they had any. I had no knowledge of my father's family, apart from the memories of my father repeatedly saying, his voice filled with regret, that his older brother was "stupid" for not having left China before the Communists came into power. The only thing I had of his family was a picture, showing his mother, brother, and sisters dressed in Chinese silk robes. When a Chinese friend saw this picture, she told me that my father's family must have been really rich, because in those days most people couldn't afford silk robes. This picture was the only due I had to my father's existing family. And it was this exact picture that they sent to me as proof that we were truly related. My father's relatives asked me to visit them several times, but I told them that I was too busy with my studies and that I traveled a lot for my work. Sometimes I would be out of town for two weeks at a time. I said that I would let them know when I could visit them, and when they could visit me in Beijing, but that they must not come without advance notice. Deep down, I was not sure if I was ready to meet them, especially after reading one letter from my uncle saying that he was ill because he missed me so much. I thought, I don't even really know them, and if he's getting sick now from missing me so much, what will he do when he does know me—will he die from the excitement? They also refused to believe that my father had died a long time ago. I knew that the first meeting was going to be tough. I wanted to meet them to find out more about my father—but in my own time. It was two years after my arrival in China, and more than half a year after my initial contact with my relatives when, after class one day, the dormitory service desk told me that I had a relative waiting for me. I was astonished, and a bit nervous—I just hadn't been prepared for this visit. The relative turned out to be my cousin, my father's older brother's first son, who was in his forties. He had been sent as the family's representative to meet me. I had a hard time believing that he was my relative, because he looked more like an escaped convict. He had an open burn wound the size of a dime on his face, which looked as if it had come from a cigarette, and, from time to time, he would use a piece of paper to dab at the pus oozing from it. He had a weird accent and a speech impediment that made it hard to understand what he was saying. He really gave me the creeps with the way he stared at me. I felt like he was devouring me with his eyes. All I wanted to do was to run away from this guy—I couldn't stand to be alone with him. Luckily, I had an excuse to leave him. I really did have to go to work, so I told him to come back the next day and we would talk. This delay also gave me more time to prepare myself and to ask my Chinese teacher to attend the meeting with him, to give me moral support and easy Chinese translation if I couldn't understand my cousin. During the meeting the next day, he showed me pictures of my father—further confirmation that he was my cousin. He told me that after the Communist takeover, our family had lost everything we owned. During the Cultural Revolution, my uncle had been severely beaten and paraded around town with a hat and signs that labeled him a capitalist landlord. Fortunately for my grandfather, he had died a few years before 1949, and my grandmother had also died of old age shortly after the takeover. The stories of what happened to our family were typical of those of landlord families. Their land, property, and belongings were confiscated or plundered by the new government. My cousin also told me that our family had been further punished and suffered even more because they had been considered spies, since my father was living in the United States. It was very sad to hear about the beatings and miseries, but I started to feel that my cousin was trying to put the burden of all that they had suffered onto me because of their connection with my father. I didn't want to have to feel guilty and weighed down about that. I tried to explain that my father didn't have a great life—that after studying for so many years, he had had too little time to live to enjoy the rewards of his hard work. My father died a poor man, with only $500 in his possession. I told him a little bit about myself and about my brother, that we had both worked our way through university. I was still paying back student loans. I wanted him to see the reality: I was just an average person, not someone rich who could help them financially. At the end of the meeting, I let him know I had no more time to see him. I said that I was too busy, but that I would go and visit them in Gansu later, when I was able to. I explained that I was very Americanized and that I needed advance notice and would give them a reply as to whether I would be available and in town for their future visits. I didn't want to seem mean or cruel hearted, but I needed my relatives to respect my wishes and my privacy. I didn't want them to show up whenever they felt like it and to have to drop everything just to attend to them. I had a lot of Chinese IBM customers who did the same thing—show up without appointments and expect me to cater to them when I had other appointments and projects to take care of. Part of the reason the Chinese just showed up was that most people didn't have telephones, and most people didn't travel much, so they assumed that you would just be there. I said to him that, in America, relationships even among relatives are built up and not assumed and that it would take time for me to get to know them. I tried to communicate all this as diplomatically as I could. I had lived in China for only two years, but that was long enough to know the expectations of Chinese relatives. I could tell he was disappointed, but I was not ready to take on all the responsibility of their term, relative. Friendship and trust must be earned. Maybe my attitude came from years of being so independent and having to fend for myself. My uncle's family continued to write to me. I didn't write to them nearly as often, because I am lazy about writing letters in general and because I didn't have a lot to say to them that I thought that they would be able to relate to. I don't know whether they feared that my stay in China would be limited and that I might leave without visiting them. But, in fact, I ended up staying in China much longer than the originally planned two or three years. IBM China asked me to work for them full-time, and then I married a Frenchman who was working in China. In the spring of 1990, three and a half years after my arrival in China, my aunt and her daughter showed up at the IBM office looking for me. I was surprised to see them, since, once again, my relatives had appeared without prior notice. My aunt told me she had some business in Beijing, so she wanted to meet me. She wanted to retry Beijing duck, the specialty of Beijing, so my husband and I took them out to dinner to have some. This visit with my aunt and her daughter went much more smoothly. She didn't dwell on the miseries, beating, and torture after 1949 and during the Cultural Revolution and didn't try to make me feel guilty about the past. She seemed normal and easy to talk to, unlike my cousin, and expressed herself in a self-assured way. She felt so comfortable with us that she was even giving me personal advice—she tried to persuade me for several minutes to have a double eyelid operation to improve my looks! My husband remarked on how alike my aunt and I looked. It was a lot easier to believe that she was really my father's sister than it had been to believe my cousin and I were related. Since this visit gave me a better impression of my relatives, I started to think more seriously about visiting them. They had been telling me that my uncle was getting old and that his health wasn't good, so I should try to go soon. The most important thing that I wanted to do for my relatives was to try to get back for the family the part of the house that would have belonged to my father. Apparently there was a new regulation in China that overseas Chinese could make a claim on their share of housing if their family's house had been taken away from them after 1949. My relatives assured me that if I went to the local government and applied personally on behalf of my dead father to get my father's share of the house, I would succeed. This would then get back what was rightly my father's for me, but really it was for them. I had no desire to keep a residence in Gansu. In the fall of 1991, my husband's project in China was coming to an end, and his company was planning to send him back to France. I handed in my notice of resignation to IBM. We decided this would be a good time to visit my uncle and family and to take care of getting back my father's part of the house for my relatives. We didn't realize just how remote a place Gansu province was, although it is true that we took a somewhat roundabout, scenic route to get there. We first went to northern Sichuan province. Then we worked our way north by public bus through the grasslands and the mountains until we reached the city of Lanzhou, the capital of Gansu. It wasn't the easiest way to go, since part of the route we took had not yet been opened to foreigners. We had to stop in at the local government office controlling foreign visitors and beg them to issue us travel permits so that we could go through the various small cities along the way and take the public buses. We were checked many times by bus ticket sellers and police during our trip. Since my husband was Caucasian, we couldn't go very far without being noticed. Sometimes there were so few buses going to the destination we wanted that we had to wait two days to get a place on the bus. This anthology of autobiographical essays reveals the human side of the Chinese diaspora. Written by ethnic Chinese who were born or raised outside of China, these moving pieces, full of the poignant details of everyday life, describe the experience of growing up as a visible minority and the subsequent journey each author made to China. The authors—whose diverse backgrounds in countries such as New Zealand, Denmark, Sri Lanka, England, Indonesia, and the United States mirror the complex global scope of the Chinese diaspora—describe in particular how their journey to the country of their ancestors transformed their sense of what it means to be Chinese. The collection as a whole provides important insights into what ethnic identity has come to mean in our transnational era. Among the pieces is Brad Wong's discussion of his visit to his grandfather's poverty-stricken village in China's southern Guangdong province. He describes working with a few of the peasants tilling vegetables and compares life in the village with his middle-class upbringing in a San Francisco suburb. In another essay, Milan Lin-Rodrigo tells of her life in Sri Lanka and of the trip she made to China as an adult. She describes the difficult and sometimes humorous cultural differences she experienced when she met her Chinese half-sister and her father's first wife. 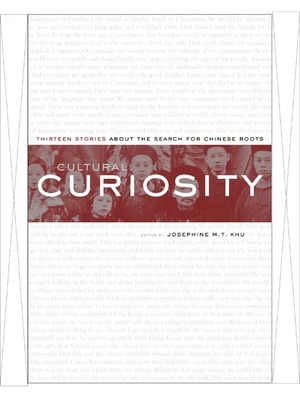 Josephine Khu's lively afterword provides background information on the Chinese diaspora and gives a theoretical framework for understanding the issues raised in the essays. This intimate and rich anthology will be compelling reading for all who are seeking answers to the increasingly complex issue of ethnic and personal identity. Josephine M. T. Khu is a Visiting Scholar at the Centre of Asian Studies at Hong Kong University.